Michael W. Smith Releases New Album, “AWAKEN: The Surrounded Experience,” Feb. 22! 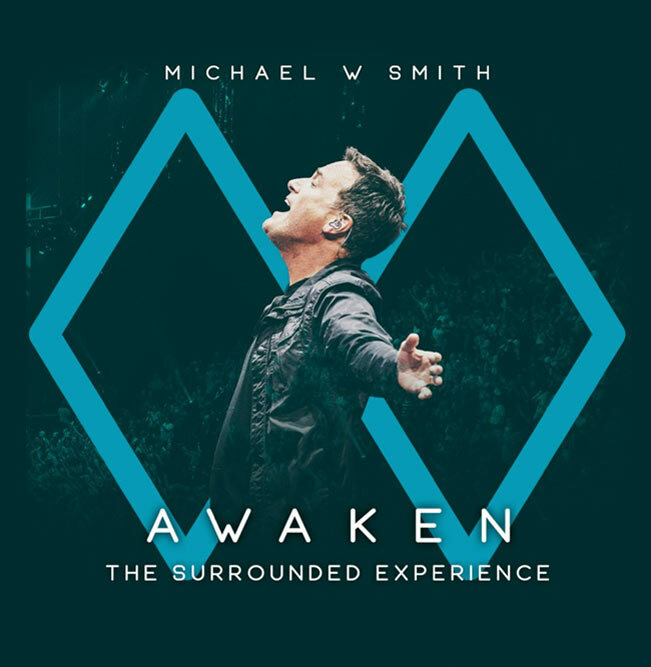 Inspired by his Good Morning America-featured live worship album Surrounded, which is nominated for Best Contemporary Christian Music Album–his eleventh GRAMMY nomination, Michael W. Smithhosted “A Night to Pray, Worship and Be Awakened” at Bridgestone Arena in Nashville, TN last August. The energy, passion and unity of the event was captured as it happened on AWAKEN: The Surrounded Experience releasing Feb. 22 from Rocketown Records and The Fuel Music. The album features the multi-Platinum, three-time GRAMMY® Award-winning artist along with special guest CeCe Winans and the voices of 14,000 that attended the evening. Taking his new music and fan favorites on tour in 2019, Smith will be featured on the annual, Compassion International-sponsored “The Roadshow Tour” launching Feb. 22 before joining Christian music supergroup, Newsboys United, to co-headline the “Surrounded & United: The Tour” beginning April 10. Last year also marked the launch of Smith’s new children’s brand, Nurturing Steps, sold-out “Christmas” and “Surrounded By A Million Lights World Tour” events and worldwide-watched performances honoring the lives of his friends Rev. Billy Graham and Pres. George H. W. Bush at their respective funeral services. Smith was further tapped for appearances on ABC’s “CMA Country Christmas” and during Celebrity Fight Night in Italy with Andrea Bocelli, Josh Groban, Reba McEntire, Kristin Chenoweth and more. For all the latest Michael W. Smith tour dates and more news, go to www.michaelwsmith.com, Twitter, Facebook, YouTube and Instagram.